An engagement is a pretty big deal. It’s something you want to cherish forever and share with all your closest friends and family. 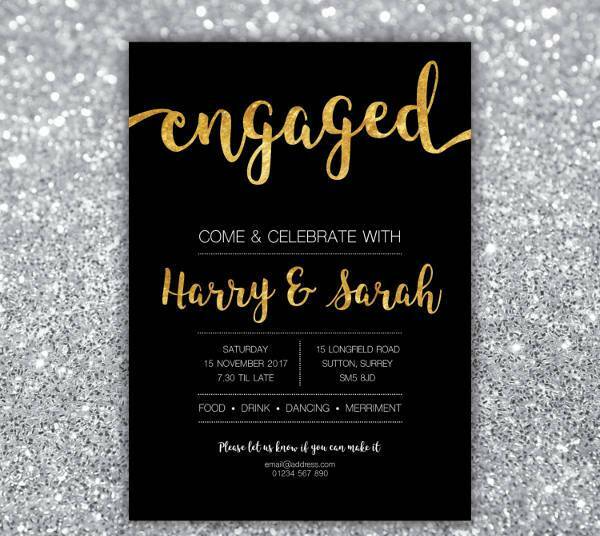 If you really don’t want to go through all the hassle and dullness of informing everyone you know by phone, why not go through the hassle of organizing an engagement party instead? 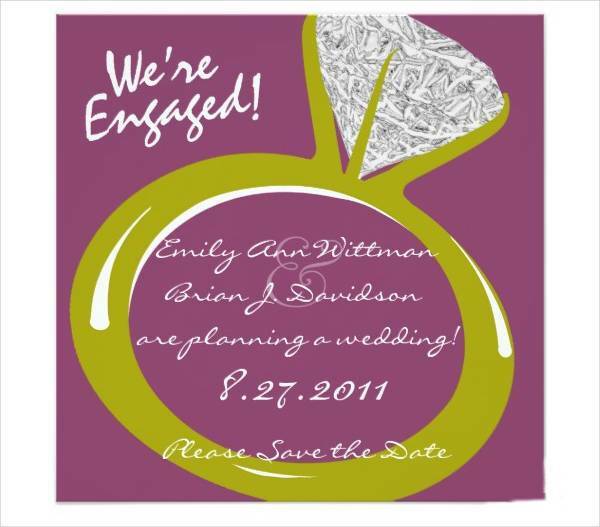 Engagement parties are undoubtedly more fun, and you can plan different ways to surprise your guests with the good news! Of course, one of the most important steps to take is sending out your invites. 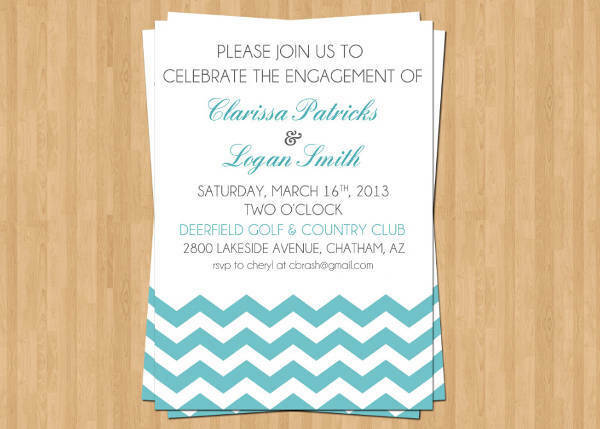 If you haven’t decided on a theme yet, take a look at our engagement party invitation designs to get some ideas. 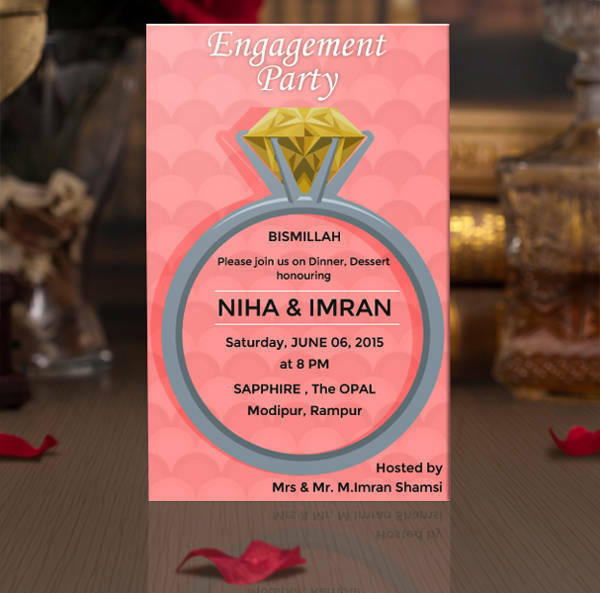 Why Throw an Engagement Party? 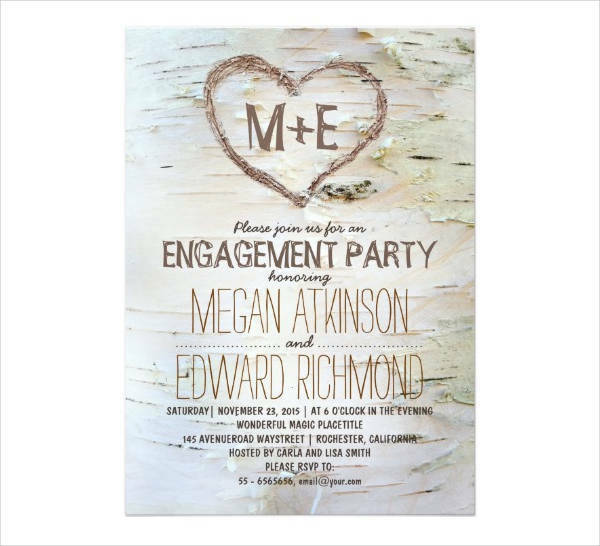 An engagement party is a great way to let your loved ones know that you and your partner have reached a milestone in your relationship and are about to venture into a new one: marriage. It’s a celebration of your love and it allows you to share that aspect of your relationship with everyone around you. away from the wedding. Engagement parties are like the buffer zone for your wedding. The fun kind at least. You get to figure out who you want as your wedding guests. For some couples, their guests at the engagement party are also the guests for their wedding. 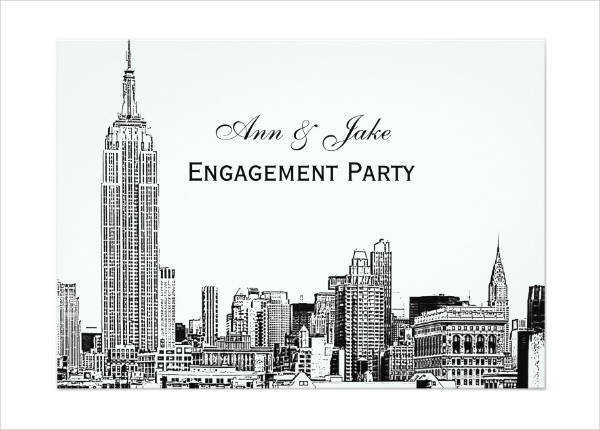 However, an engagement party is also the perfect avenue to see whether or not you want certain guests on your big day. The party can also be a way for you to celebrate with people who might not be able to attend your wedding due to some constraints, financial or otherwise. Your party allows your guests to get to know each other. An engagement party releases some of the tension and awkwardness that might be present on your wedding day. It’s a good avenue for your family and friends who belong in different circles to build rapport with each other since you probably won’t be able to attend to each and every guest during your wedding. An engagement party is a pre-wedding party. 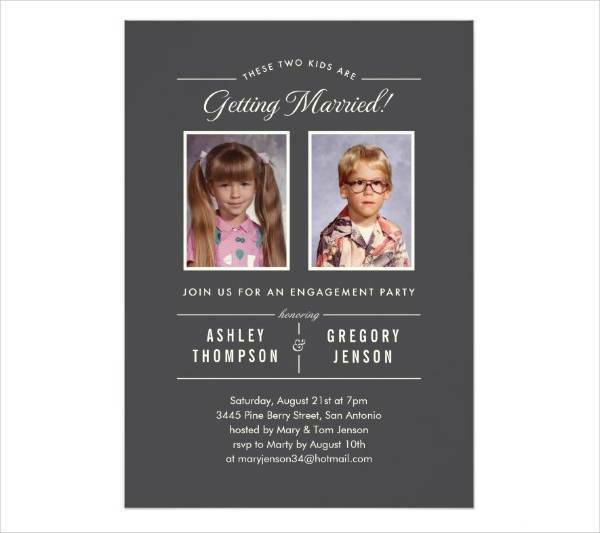 You get to see if your theme for your engagement party will work for your wedding. It’s also a way of figuring out what really works for you and your partner. Your engagement party theme can serve as a hint for your guests on your final theme for your wedding. It can be simple and intimate. If you really don’t want to go through all the planning stages of organizing a party, then a simple get-together is perfectly acceptable. Your engagement party is anything you and your partner want it to be. There’s no need to stress about it. You can throw more than one party. Although it’s ideal for your guests from different circles to get to know each other, it would also be fun to throw different parties for your groups of friends. They don’t have to be anything grand. You can all just hang out, have a simple dinner, or go on a beach trip. Although no one is really obliged to throw an engagement party, it’s a unique and personal way to let the people you care about be a part of something special in your lives. 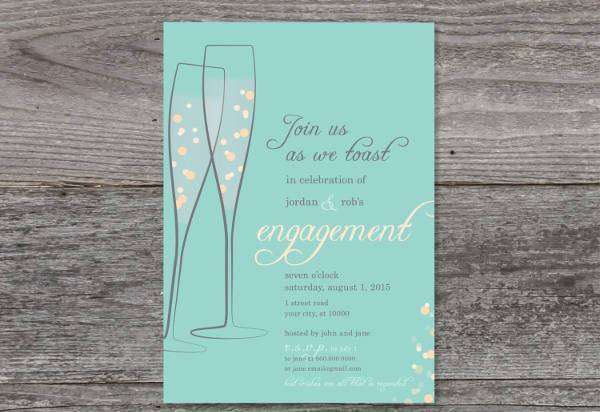 Once you’re up for it, an engagement party invitation should be part of your to-do list. 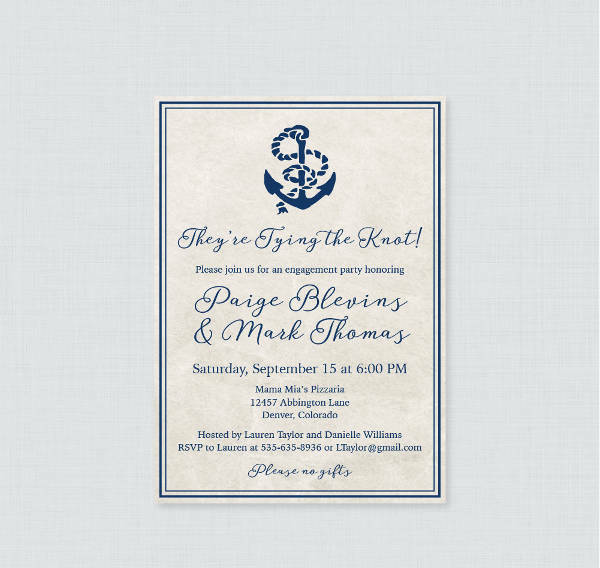 There’s no need to worry about what fine details you need to include in your invitation cards. 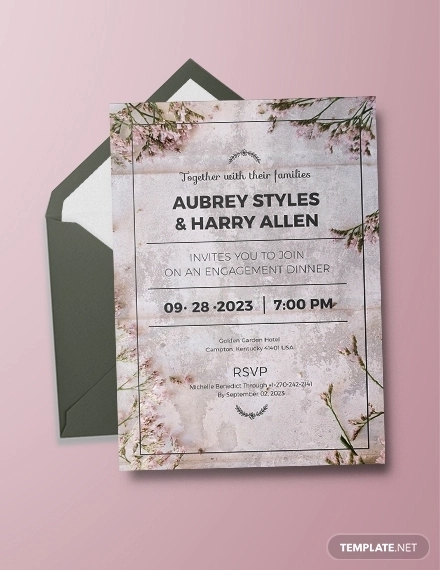 An invite for an engagement party is not exactly as formal and structured as a wedding invitation card—unless, of course, it’s a formal party you’re hosting. But like all invites, there are certain bits of information you have to include. Date, Time, and Place – Always make the setting of your party visible and clear to your invited guests. How are you going to inform them of the big news if they don’t actually arrive at the venue? Dress Code – More often than not, engagement parties tend to lean on the formal types of events. If you’ve got a strict theme and a required dress code, include that on your invites. 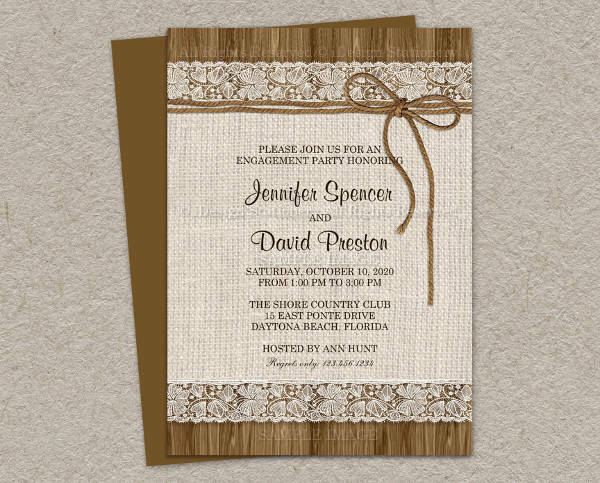 Guests of Honors – You and your partner’s names should be the main features of the invite. If you don’t want your guests to find out what the party is all about, then you can stick to the basic info to leave your guests wondering. 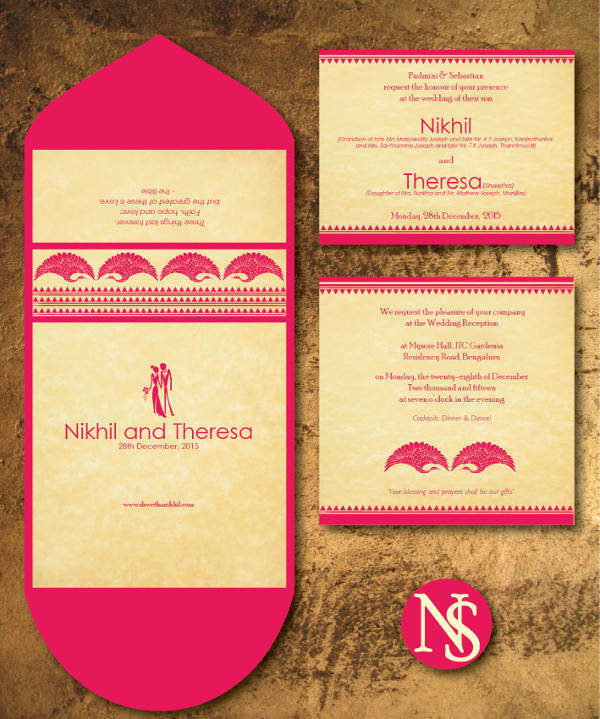 Gift Policy – Gift or no gift, you have the option to indicate that on your invitation cards. Some guests can be quite confused with the do’s and don’t’s of an engagement party. 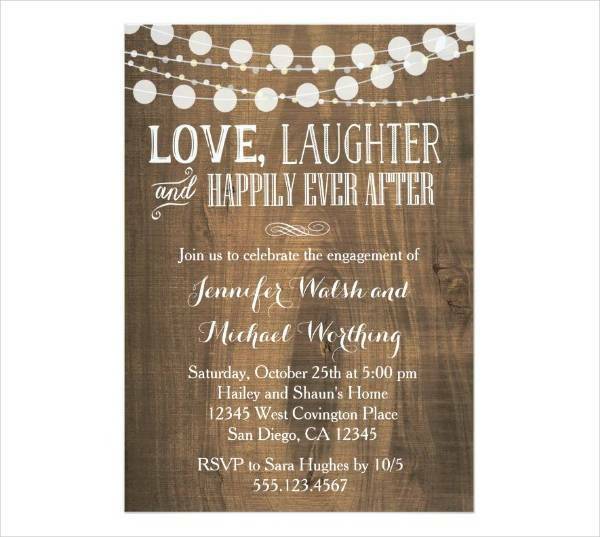 Contact Information – You’ll have to leave your contact details if there’s a need for your guests to RSVP. Your guests will also be able to reach you for inquiries or concerns. 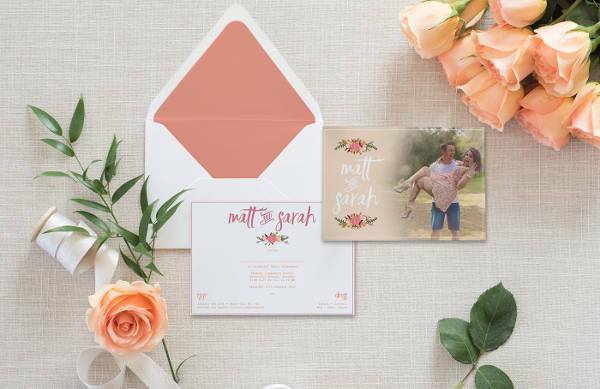 Should you need a set format or layout for your invitations, there are several types of invites you can get creative with. 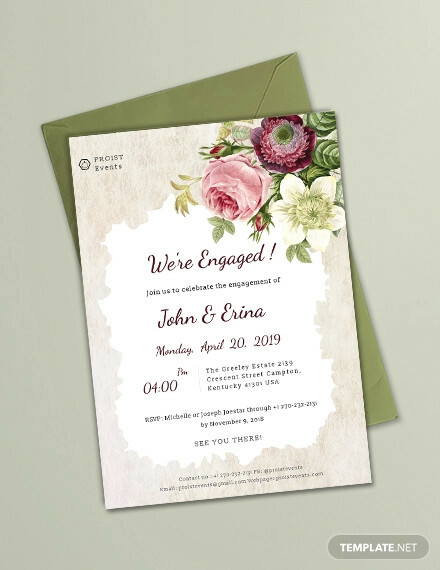 Printable – We’ve got printable invitation card designs ready to be personalized and customized to fit your theme and desired look. 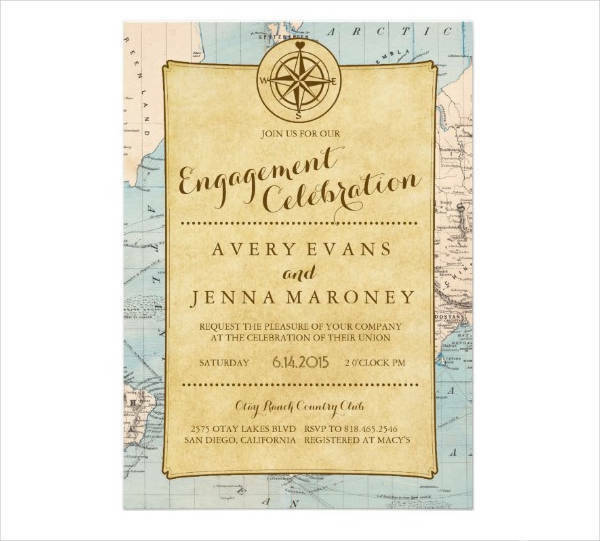 DIY – DIY invitation designs send out a unique and personal vibe to your guests. They look more raw and authentic, and will surely make your guests feel more special. 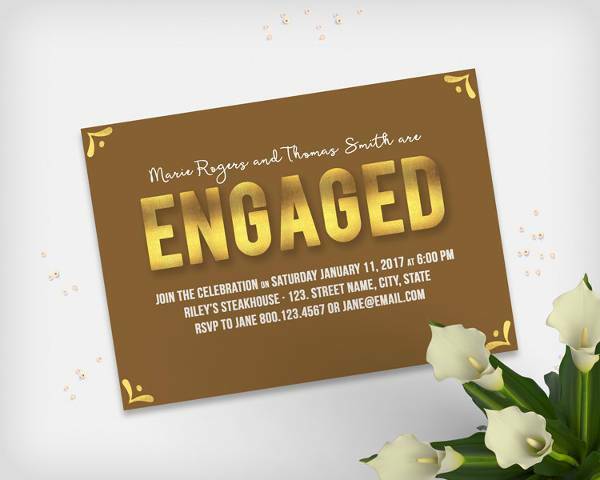 Blank Engagement Invitation – Our blank invitations will give you all the space you need to be creative with your designs. 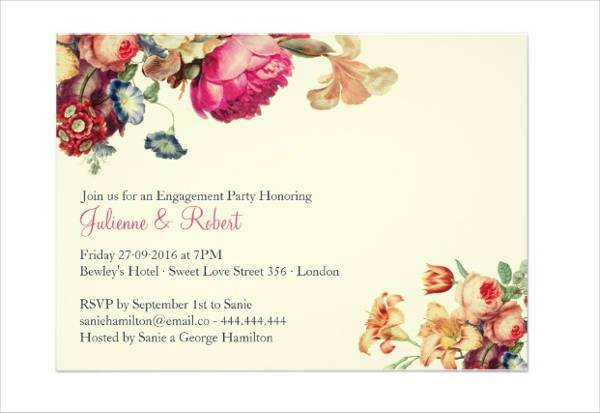 You have the liberty to edit and create design elements that can best fit the theme of your engagement party. 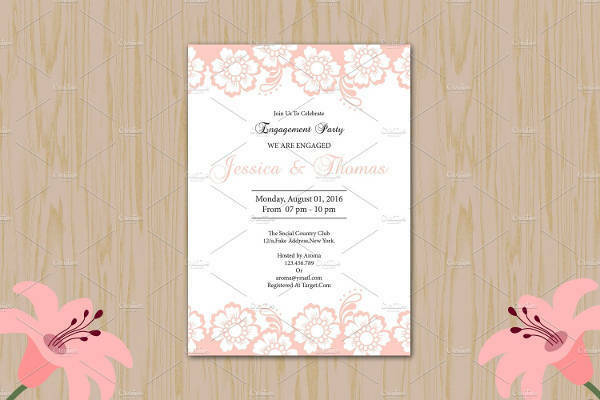 Personalized – Personalize invites cater to you and your partner’s personal tastes. 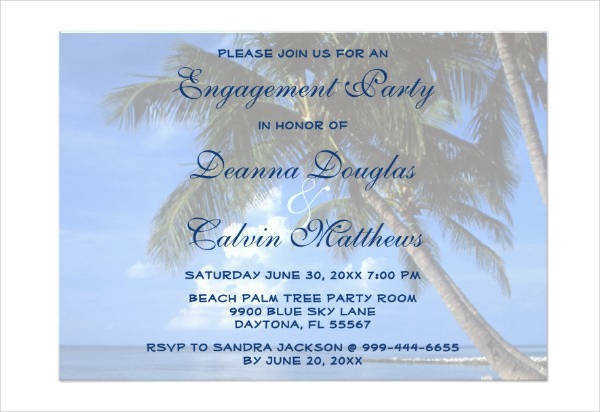 You can make your invites completely one of a kind by incorporating designs that best fit your personality as a couple. 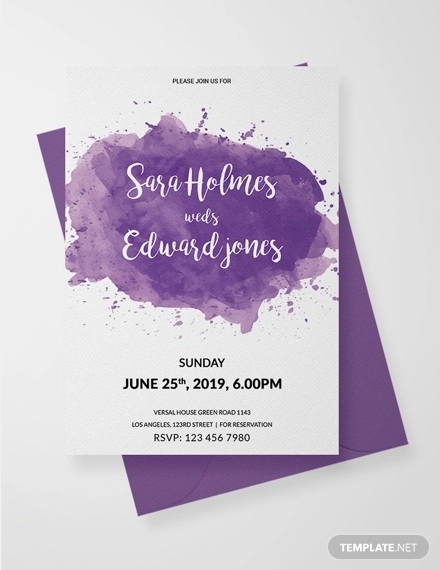 Minimalist – Minimalist layouts for invites can help you limit your designs and color patterns to have a clean and organized finish. They can be extremely helpful if you’re the type to go overboard without meaning to. 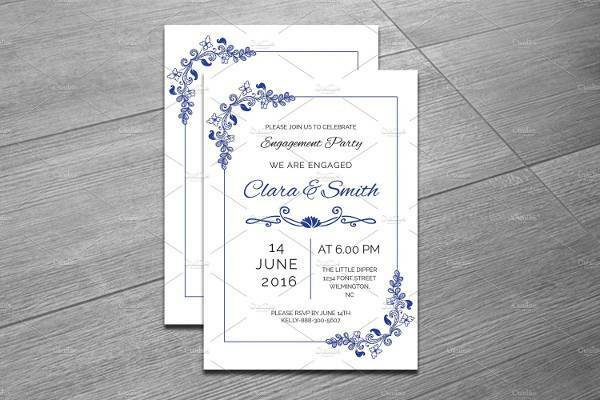 You can really bring out the best of your invitation card designs if you’ve got the right format that you can easily work with. 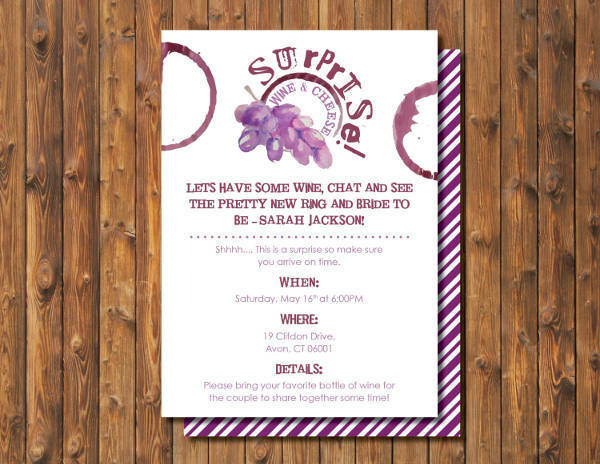 Try out different types of invitations and see what feels right to you. 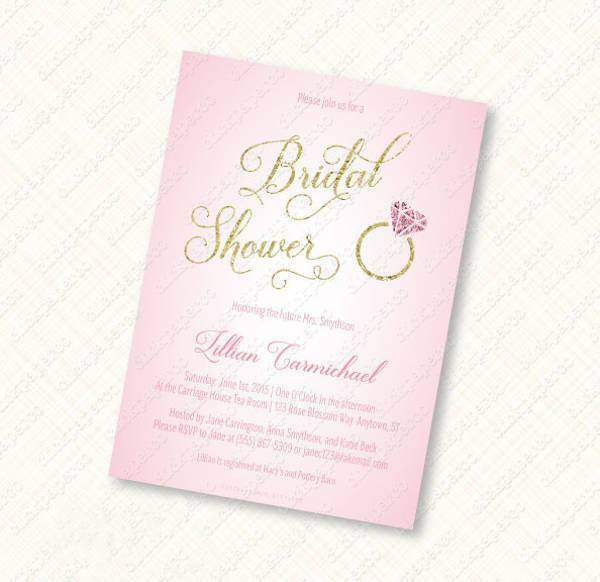 Making invites for your engagement party takes you a step closer to designing your bridal shower invitations and wedding invitations. 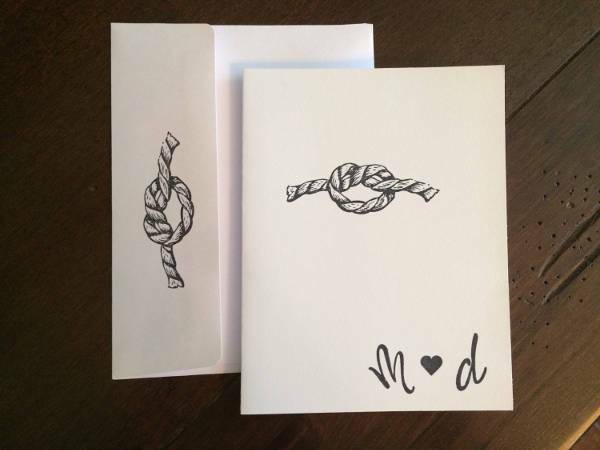 Incorporating a theme on your invitation is something that can make your whole party unique. Themes may be common but how it comes to life is something personal to every person. 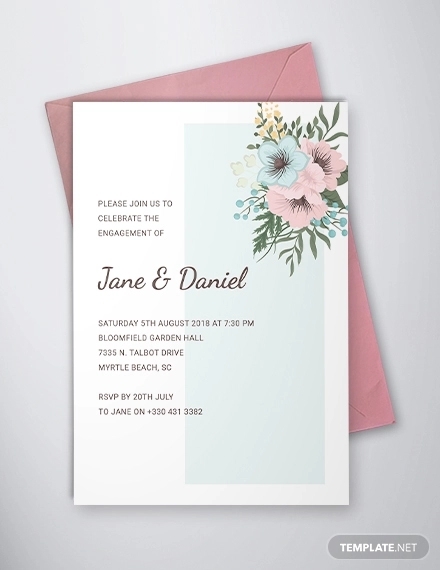 With invitation cards, how you incorporate your themes with your use of colors, typefaces, and images have a say on your creativity and personality. 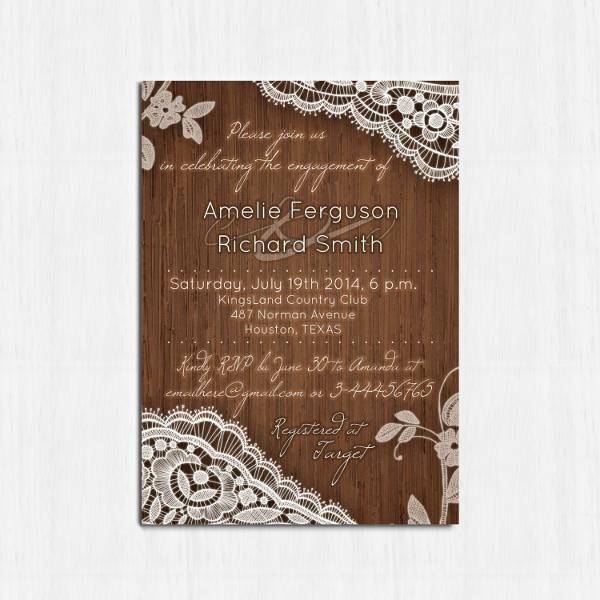 Rustic Lace – Rustic lace is theme loved by many. It’s dreamy, dainty, and completely romantic. 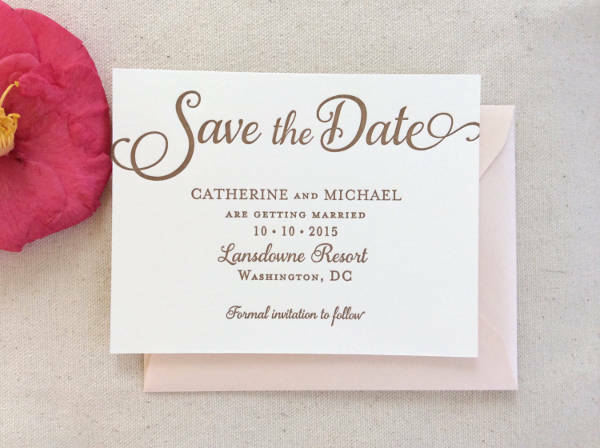 You can never go wrong with lace and floral patterns adorning your invites. You can make use of a wooden background image and a calligraphy font in white. 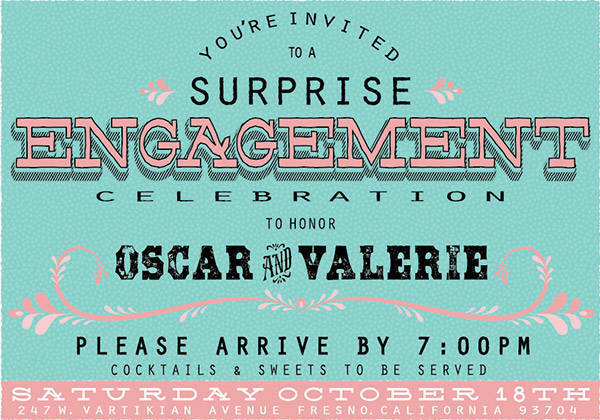 If you want your invites looking simple and elegant, keep typefaces and colors at a minimum of one or two. 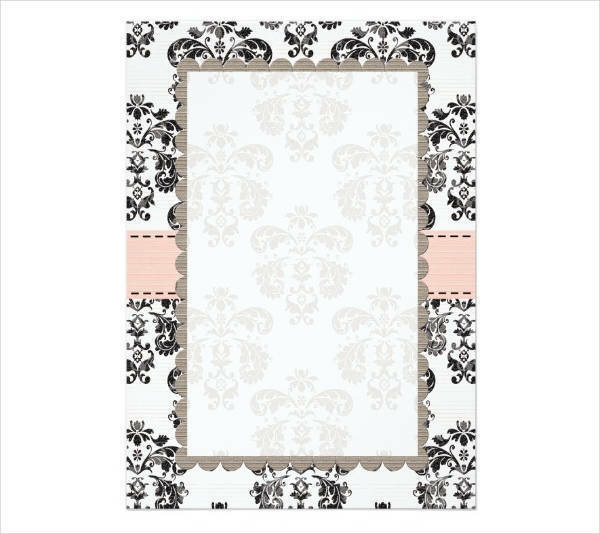 You can seal your invites in a white envelope wrapped in lace to bring out the effect. Your engagement party theme can be subtle. You can go full out on your rustic wedding, and make your guests fall in love. 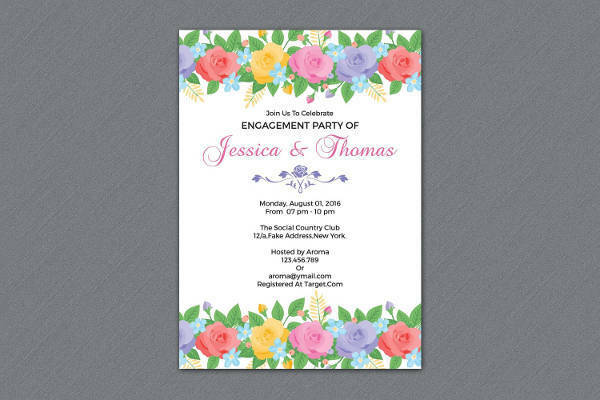 Floral – A floral-themed invitation card is sweet and refreshing. 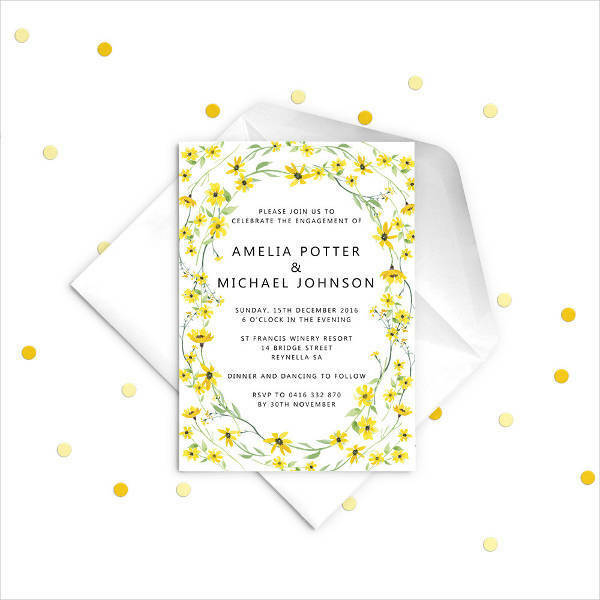 They are sophisticated when kept to a minimum and even when you’ve got your invites covered in flowers. Floral designs can be presented in multiple ways. You can opt for pastel floral patterns with a watercolor effect or use detailed and striking colors. 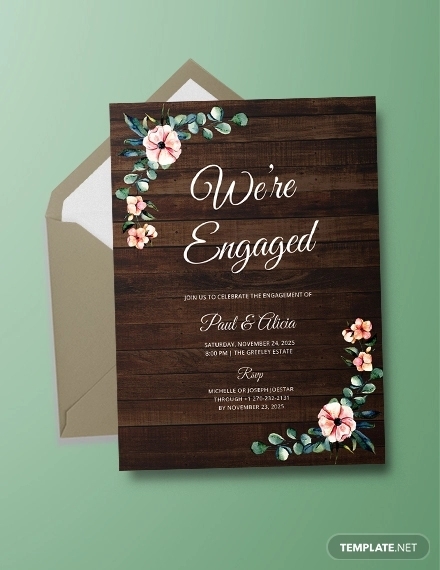 Floral themes usually go hand in hand with handwritten script or calligraphy fonts to make them more delicate and classy. 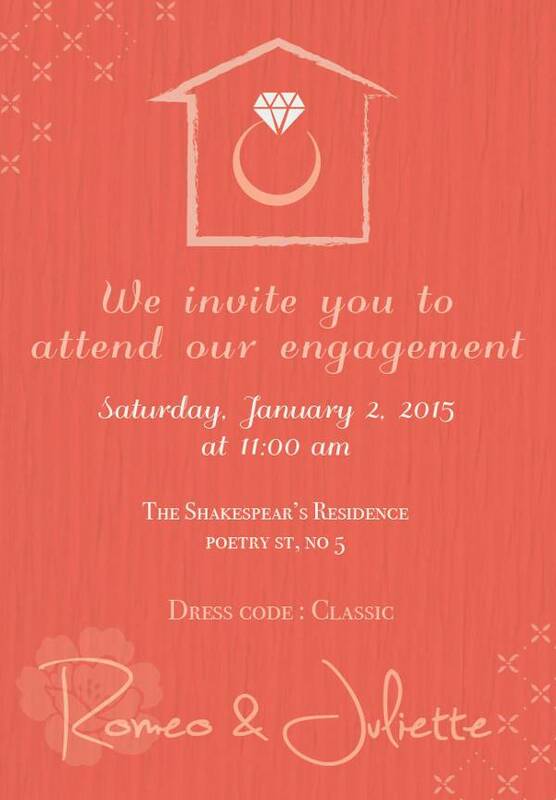 You can even add in a few verses from your favorite love poems to make your invites more romantic. 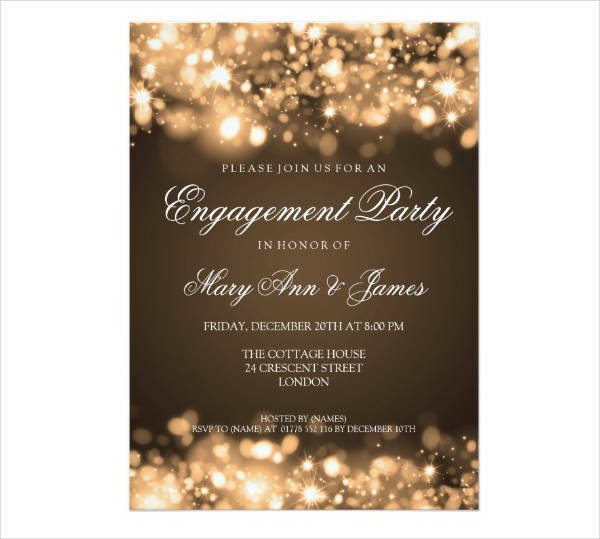 Formal – Formal engagement party invitations are more structured than most. They are usually straightforward with the details in both design and text. There’s minimal use of colors and patterns to keep from being too distracting. Borders and image placement are often symmetrical to look neat and organized. Vintage – Vintage is also a favored theme for weddings and engagement parties. They make your event nostalgic and dreamy. 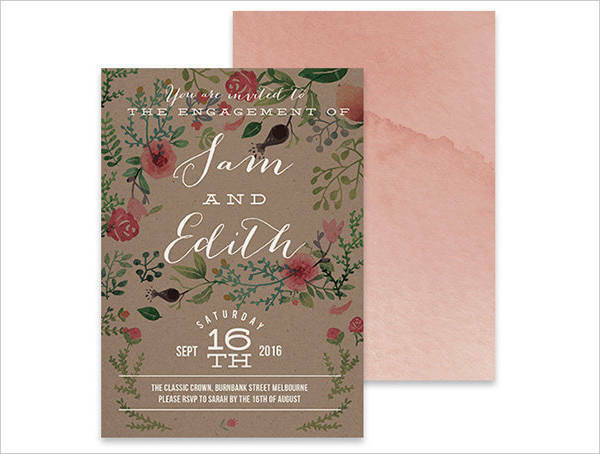 With vintage patterns and designs, make your invites look like a fairy tale story come to life. 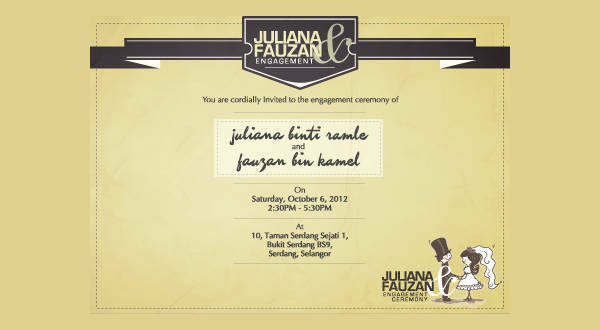 Designing your engagement invitation cards should be fun and exciting. Try to keep things light and romantic and focus on what the whole event is about. If you’re still having trouble with your designs, try to practice with the ones we’ve got available for you. You’ll eventually come up with something extraordinary and suitable for you and your partner’s personalities.